Three distinguished men first brought Rhodes Scholarship recognition to Wake Forest in the early part of the 20th century. Harry Trantham (1900, MA 1901), who lived from 1882 to 1962, had deep family roots at Wake Forest. A Rhodes Scholar in 1905, he would go on to a distinguished career as a classicist, teaching for decades at Baylor University and chairing the Texas Rhodes selection. Robert Lee Humber Jr. (1918, MA 1919, LLB 1921, LLD ’49) lived from 1898 to 1970 and rose to become a leader in North Carolina politics as an attorney and statesman, though his first career was as an oil company representative in Paris (leaving in 1940 just ahead of the Nazis). Later, as a North Carolina state senator, Humber led the initiative to create the North Carolina Museum of Art and served on numerous boards, including the Baptist State Convention and Wake Forest. His Rhodes Scholarship was awarded in 1919. The descriptive commentary about the young man notes that “two colleges have failed to satisfy his appetite for the highest marks and tinfoil medals. He aspires to a Rhodes Scholarship, and we predict that he will get it.” The subject and writer are one: Paul Hubbell (MA 1913) of Mountain View, North Carolina, in Surry County. He edited The Howler that year and went on to win the Rhodes Scholarship in 1914, but his accolade remained unrecorded at Wake Forest for almost 90 years because his undergraduate degree was from Richmond College (now the University of Richmond in Virginia). It was co-author of this story, Ken Badgett (’87), who made the discovery while reviewing microfilm copies of local newspapers. Paul’s older brother, Jay Hubbell, taught English at Wake Forest during Paul’s time as a student and later became an important scholar of American literature at Trinity College/Duke University. Jay Hubbell was Paul’s principal mentor and motivator, and in his considerable natural and applied ability Paul Hubbell thrived under that tutelage. After graduating from Richmond, Paul enrolled at Wake Forest to read more in English (and earn the MA) and to prepare for the Rhodes competition. 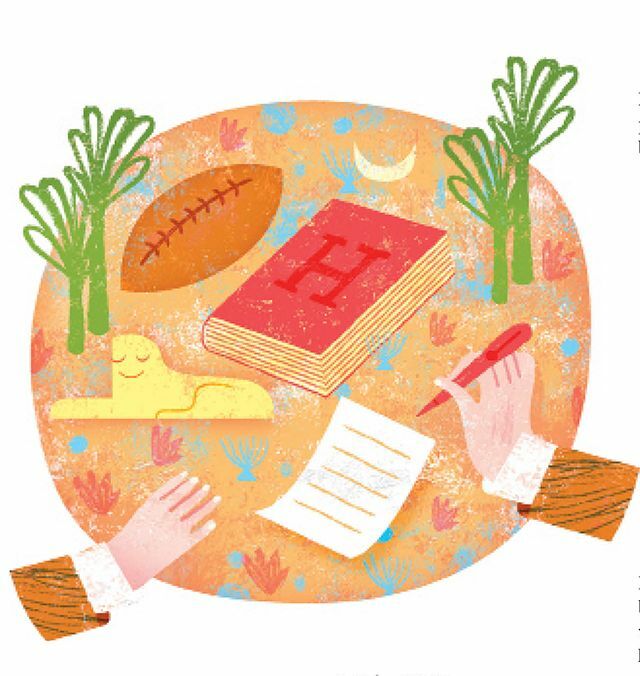 Even as he was working to earn the Rhodes Scholarship, he edited The Howler, tutored younger students, played football and was active in the intellectual and civic life of campus. He passed muster on the requirements for what was then, as now, a most rigorous national selection. The Winston-Salem Journal, reporting Paul Hubbell’s later departure for England, noted the criteria of Rhodes selection: “three-tenths whereof shall be given to the candidate for his ‘literary and scholastic’ attainments, the remainder being for his love of outdoor athletics and sports, for strong manly qualities such as courage, generosity, and kindness, and for high moral character, and especially for ambition to serve and lead in large public affairs.” (Today that description, gender neutral, speaks more broadly to capacities of intellectual and personal leadership.) Jay Hubbell noted that his brother had bested seven other “competitors,” including Carlyle Campbell, who became president of Meredith College. In 1914 Paul Hubbell sailed to England to take his place among Rhodes Scholars. He spent 1914-15 being tutored in various periods of British and European history. His progress was interrupted by his election (against his tutors’ wishes) to a non-combat support effort in Egypt. He served several years through the London Council of the YMCA as a liaison officer assisting British and local authorities in Alexandria, Cairo and the Suez, ultimately spending months imprisoned by British forces over questions about his loyalty. Hubbell’s retrospective story of those times makes for a fascinating micro-study of the people and places affected by the long reach of the Great War. His time in Africa in and out of prison allowed him to meet all manner of international soldiers, Egyptians and some fellow Rhodes Scholars in similar service. He also gained intimate knowledge of the famed bed bugs of the Cairo prisons. Despite suspicions of his loyalty, the British armed forces finally released him, and Hubbell headed home — with “joy and grateful reaction upon seeing the Statue of Liberty.” With the personal help of then-Secretary of the Navy Josephus Daniels of North Carolina (publisher, advocate, statesman, close friend to Franklin Roosevelt), Hubbell’s record was cleared, and he sailed again to England to continue his Oxford studies, finishing in 1920. 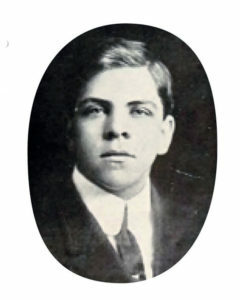 Upon his return to the United States, Hubbell embarked upon a teaching career that included years at Furman and Baylor (where he would have met Harry Trantham). Hubbell would find a permanent home at Eastern Michigan University, along the way earning a doctorate from the University of Michigan, with his thesis on the Helgoland-Zanzibar Treaty of 1890. While helping to raise a family, over the next four decades Hubbell wrote and taught courses on Egypt, Africa, the Near East, Greece and Rome, world wars, French history, European policy and more. He developed a popular and rigorous course, “History of Civilization.” In a real sense Hubbell taught history that he had lived — especially 20th-century conflict. He was a loyal correspondent to the Rhodes Trust, which in his later years recognized him as the oldest living American Rhodes Scholar of his day. With Hubbell’s death on June 1, 1993, at the age of 101, that distinction was passed to another, but the mystery about Paul Hubbell and Wake Forest had just begun. Claimed, rightly, by both Richmond and Wake Forest as an alumnus Rhodes Scholar, Hubbell now takes his rightful place among the 16 Wake Forest men and women to have earned the Rhodes Scholarship and studied at Oxford.